Discussion in 'Winner Stories - Online Gambling Winners!' started by Marina, Oct 11, 2015. 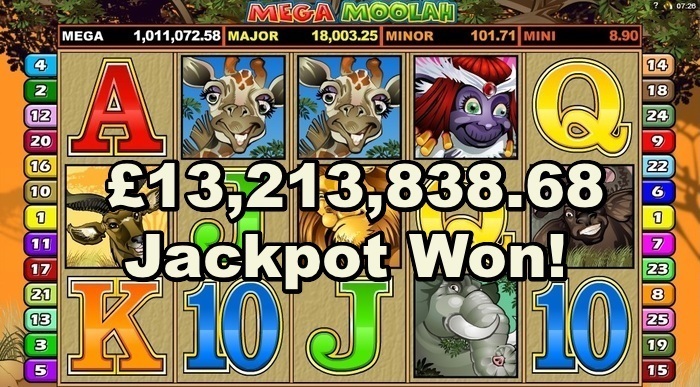 UK made online gaming history last week when he hit the jackpot on Mega Moolah video slot game and took home the extraordinary sum of £13.2 million. until it reached the grand sum of £13,213,838.68 on October 7th 2015. Jon Heywood visited Betway, his favorite Microgaming casino, on that night and wagered 25p per spin on Mega Moolah until he suddenly found himself the winner of the grand amount. The 26 year old war veteran called the experience “surreal” and said that could not yet come to terms with the fact yet. “I just kept staring at my screen and seeing this huge number in my account,” he said. Heywood will spend his windfall on a new car – a Bentley Convertible – but will also pay for his father’s medical expenses as he waits for a heart and lung transplant. Also commenting on the huge win was Roger Raatgever, the CEO of Microgaming. biggest online slot jackpot in history. The group broke by a hair’s breadth the former record held by Net Entertainment for a win on Mega Fortune video slot game. Mega Moolah slot is considered one of Microgaming’s most popular games and is well sought-after at online casinos which carry games by this group in their casino lobby. The 5 reel, 25 line Mega Moolah slot is bonus rich, with a wild Lion (which doubles any wins it helps create), as well as a Headhunter scatter which awards 15 free spins and a 3 x multiplier. Mega Moolah slot’s greatest appeal, however, is its four tiered jackpot bonus round, with the chance to win a Mini, Minor, Major or Mega jackpot. The latest win of an eight-figure jackpot will no doubt encourage even more players to try their luck on progressive slot games found across the board at top notch online casinos. Wow what an incredible story and what an amazing win!!! Just unbelievable!!! What a super jackpot! Congrats to the player!